All of us in business are faced with choices every day. The choice we choose will either open the door to opportunity, or will hold us back. Fundamental in making these decision are our Beliefs which can be based on many things, including our upbringing, our religion and often times based on the believes of those around us in our formative years. As an ActionCoach I’ve worked with many business owners over the years, and one of the challenges most often presented to me is how to get Business Owners to take a look at their Belief set with a view to looking at available options through a different prism. 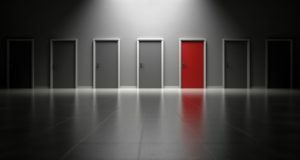 It has become apparent to me that often times business owners simply require a coach to lay out the positives and negatives of choosing a particular option. The right decision, at the right time can lead to huge opportunities, while the cautious option can result in the business being held back – and ultimately become a less profitable and successful business. Many businesses in this island of ours will face a plethora of these decisions in the coming months and years as the Brexit option in the UK becomes a reality and presents a set of unique challenges for business owners. If you’d like to discuss how ActionCoach can help steer your business towards the path to success please feel free to contact me at any time for a no obligation chat.